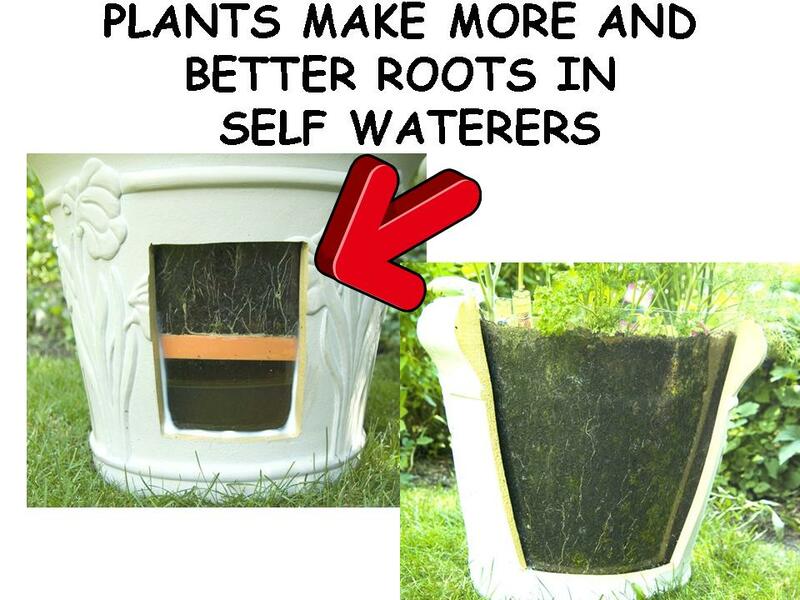 Self Watering Containers: It’s NOT About the Water! 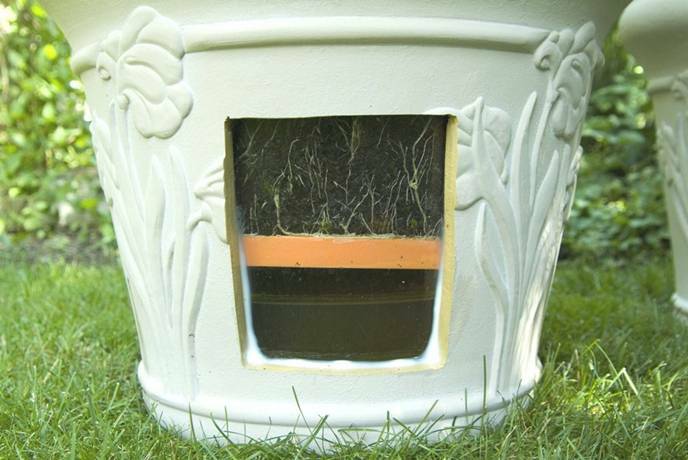 Everything we hear and read about self watering containers is about how it saves us time and energy watering, even money if you pay for your water. Not to mention convenience factors. 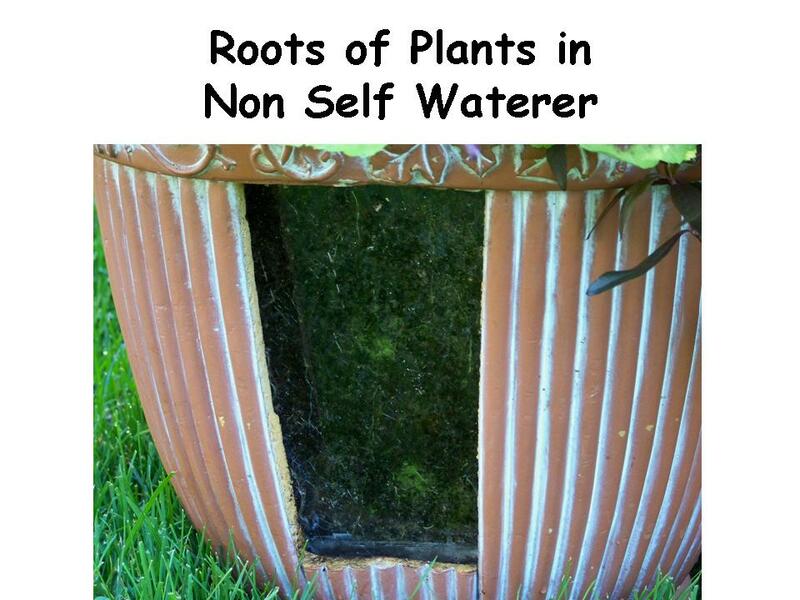 That’s true enough, but the real truth that no one is talking about — and I don’t know why — is that plants do so much better in self watering containers. That was what convinced me to push on to find a better way. But what’s the science behind it? It’s all about the stress. Because the plant eats and drinks 24/7, it’s never stressed (unless you forget to top it off). 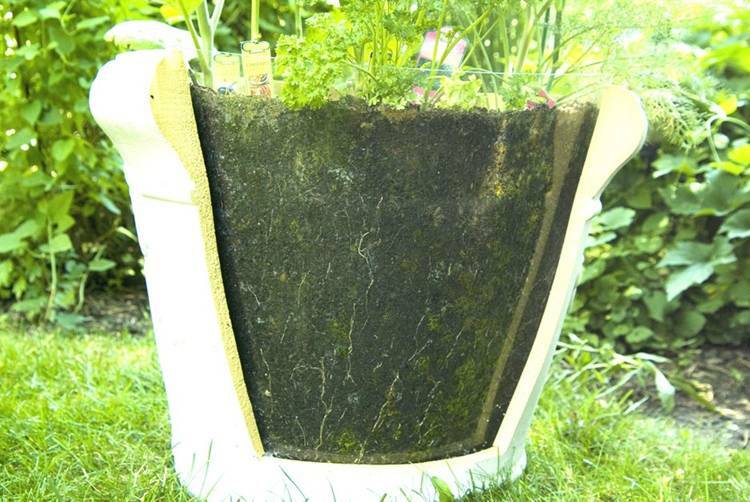 And that lack of stress keeps the microbes and bacteria in the rhizosphere — where the roots live — very happy. They don’t have to put their energy into anything but making better roots. And making better roots leads to better plants. When those roots are happy, you have better plants. It’s that simple. Look at these photos of side-by-side identical plantings under the same conditions. 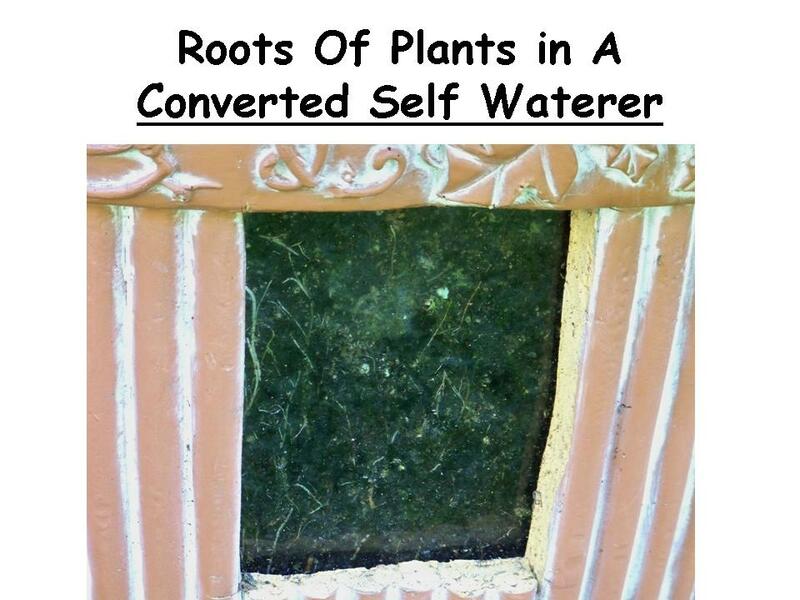 The only difference is that one container has been converted to a self waterer and the other has not. Click on the photos to get a close up and the differences will be obvious.